Since I started knitting 13 years ago I have enjoyed good knitting blogs. There is a wonderful online knitting community and both blogging and keeping up with other blogs makes me feel like I’m not alone with this knitting thing. I love reading about other people’s projects and designs, and I find inspiration in a beautiful photo or a funny story. 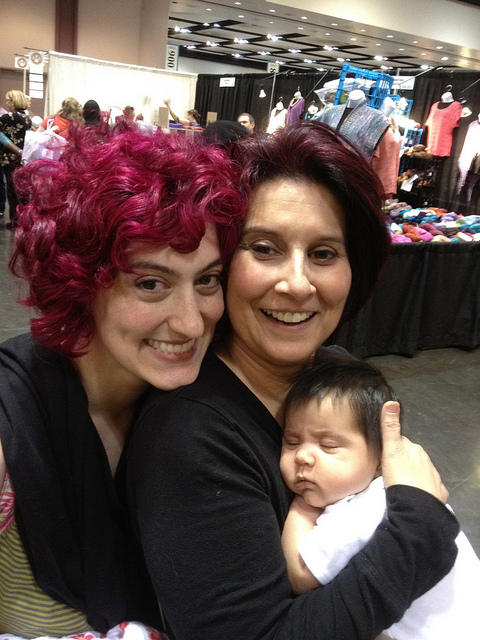 One of my very favorite blogs is the Yarn Harlot. I have been reading the Yarn Harlot blog for years and Stephanie Pearl-McPhee always has me laughing out loud. Her hilarious knitting antics (and excellent knitting projects) have always put a smile on my face, even on the greyest of days. So you can imagine my delight when she cast on for an Antler Cardigan a few weeks ago! I had a moment of very serious nerdy-ness in which I ran through the house to tell my hubby (who didn’t REALLY care but tried to be enthusiastic for me), texted or called most of my knitting friends, then emailed Emily to tell her. Could this really be happening? 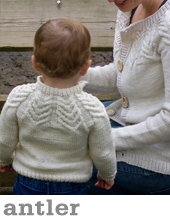 Was my knitting hero really knitting one of MY designs?! Yep. I pinched myself. It really happened. You can read all about it on her blog (check out January). She is knitting Antler for her nephew Lou in a lovely natural hand spun yarn. This brings me to another thought… who else is knitting Tin Can Knits? Well first up we have the Knitmore Girls, a mother-daughter team who have a weekly Podcast. 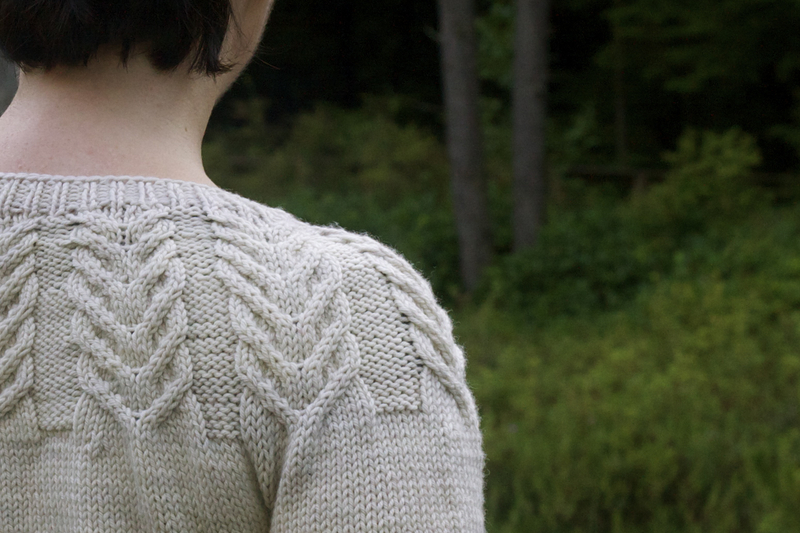 They recently reviewed Pacific Knits and we were thrilled to hear their kind words. I love that they said it made them want to knit – that is what we hope for when we publish a book. I have sometimes found publishing to be a tough process for a sensitive girl such as myself. I put a little piece of myself out into the world and hope that people like it and better yet: want to knit it! Check out the enthusiastic and down-to-earth Knitmore Girls Podcast – they review Pacific Knits in Episode 211. And Gigi is has a Hipster Hat on the needles too! 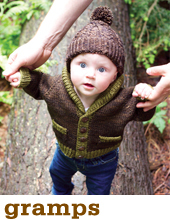 Last but not least, one of our favorite dyers ALWAYS seems to have a Gramps cardigan on the go. Tanis of Tanis Fiber Arts has taken to knitting Gramps again and again in her beautiful hand dyed yarns and always chooses fantastic color combinations. She really rarely knits anything I don’t immediately want to cast on for! You can check out her most recent post about Gramps here, and shop her exquisite range of hand-dyed yarns (made in Montreal, Canada) on her website here. Do you like what you see? Would you like to join the Tin Can Knits knitting team? Sign up to get our excellent email updates, and we will deliver inspiration in the form of new designs, in-depth tutorials, and subscriber-only special offers to your inbox once or twice a month! Yarninspirations and today November 14 2017 delete it by mistake. Is it possible please to get the pattern again….. I love your post ,sounds like a cosy chat.If I join Tin Can Knits is there a subscription fee to pay ,monthly ?yearly?And where are you based? I love the Gramps Sweater, its very cute. Hi – there’s no fee, our email updates are a newsletter we send out every 2-3 weeks. I’m here in Vancouver and Emily is in Edinburgh. Me podrías decir si para acceder a los patrones hay que suscribirse y cuánto hay que abonar, muchas gracias. Si vos savez me communicer en Français je suis partente .Votre gilet est sublime et commr je suis me’me’ de 7 petite enfants Le 8 ieme pour Le 24/12….j. ‘ai de quoi m’occuper. if I don’t knit, where can I buy this sweater? Both the Antler Sweater and the Gramps are available for purchase on our website. 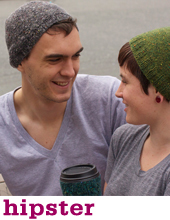 Or our patterns are available at many fine yarn shops. 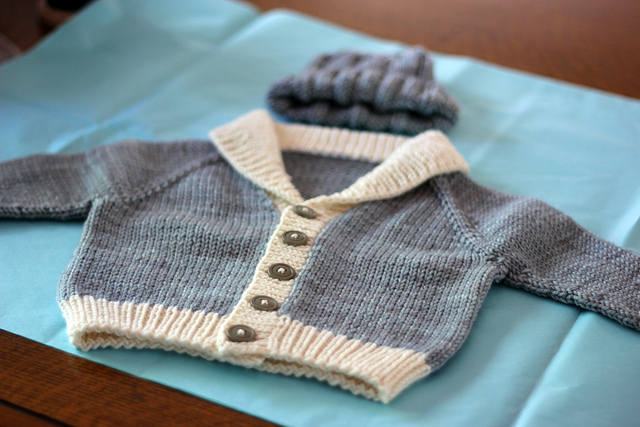 I just finished an Antler cardigan for a baby boy and I plan on knitting another for my daughter for next fall. Great design! 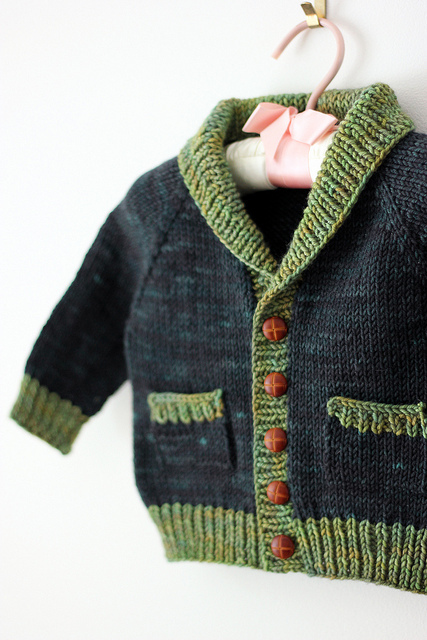 Those little cardigans are so sweet! I’m going to go look them up now! The Antler hat is great. I made it for my son and hubby liked it so much that he is getting one for Valentine’s Day. What a sweet thing to wear on his head! I love Antler! I just finished one for my granddaughter. Love Yarn Harlot, too. I saw that on the harlot’s blog and was so excited for you!! I just finished my torrents. Just need to get pictures up on ravelry! Cool! I look forward to seeing your torrent socks!